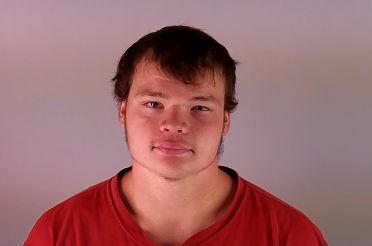 REDMOND, OR -- Local law enforcement agencies are searching for a man who allegedly assaulted a Deschutes County deputy, Monday morning. The deputy was near NE 33rd and O’Neil Highway, northeast of Redmond, investigating the report of a runaway juvenile. At about 5:30 a.m. he encountered 20-year-old Sonny Agrelius, of Albany, who has an outstanding warrant. The Sheriff’s Office says during the attempted arrest, Agrelius struck and kicked the deputy then took off. Despite an extensive area search by DCSO, Oregon State Police and Redmond Police, he wasn’t found. Agrelius is 5’11”, 185 pounds with brown hair and hazel eyes. He was last seen wearing blue jeans and no shirt. Anyone with information regarding this case is asked to call non-emergency dispatch at 541-693-6911. The deputy was not hurt during the alleged assault. UPDATE: The Sheriff's Office says Agrelius was arrested at about 10:50 a.m. Monday, after a citizen reported seeing a "suspicious subject" near NE 33rd and O'Neil Highway.